The Lerman Non-invasive Halo is an effective new treatment option that provides stabilization without pins. These two accessories for the Halo are extra accessories. 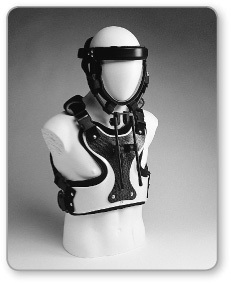 The Replacement Occipital Section includes a sidebuckle, bottom head strap, occipital outer pad, rear head straps, occipital inner pad, occipital support, and tapehook. 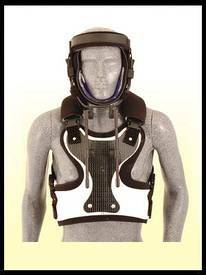 The Pad and Strap Kit includes a back strap assembly, chin pad assembly, shoulder strap assembly, chin adjustment strap, chest pad, strap pads, and chin pad securing straps. Find the full Halo system here.